A general internist, Dr. Larson has pursued an array of research, ranging from clinical interests such as Alzheimer’s disease and genomics to health services research involving technology assessment, cost-effectiveness analysis, and quality improvement. His research on aging includes a longstanding collaboration between Kaiser Permanente Washington (formerly Group Health Research Institute) and the University of Washington called the Adult Changes in Thought (ACT) study. Since 1986, the longitudinal ACT Study has followed over 5,000 aging participants from the community from age 65 and older, collecting information on health and cognitive function every 2 years. Some develop dementia, and some agree to donate their brains at the end of life. The ACT uses this extensive data resource to identify the environmental, such as air pollution and brain injury, and genetic factors that increase the risk of brain disease and find ways to help communities delay or avoid dementia. Several of Dr. Larson’s research projects are related to promoting successful aging and high functioning in seniors. With colleagues at the UW, he is executive co-producer of the Art of Aging, a news-magazine series on public television and the Web. 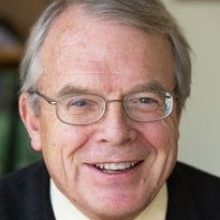 Dr. Larson served as medical director for the UW Medical Center and associate dean for clinical affairs at its medical school from 1989 to 2002. He is a member and past president of the Society of General Internal Medicine (SGIM), having received their highest honor, the Robert J. Glaser Award, in 2004. Dr. Larson is also a Master of the American College of Physicians (ACP) and served on their Board of Regents for nearly a decade, including one term as chair. He was a commissioner on The Joint Commission from 1999 to 2010. Since 2007 he has been an elected member of the National Academy of Sciences Institute of Medicine, now the National Academy of Medicine.